Welcome to the worlds greatest guide to Women's Graphic T-shirts. 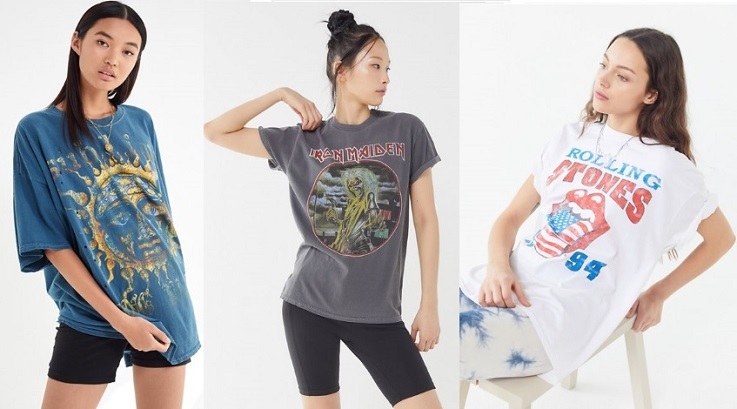 Are you actually looking for Women's Graphic T-shirts? Well, we hope you are because the reality is that you have found our Women's Graphic T-shirts page. In this women's clothing section of the Apparel Search directory, you will find all sorts of interesting information regarding Women's Graphic T-shirts. Apparel Search is a leading guide to fashion, style, clothing, glam and all things relevant to apparel. We hope that you find this Women's Graphic T-shirts page to be helpful. A women's t-shirt is a casual top. It most often is short sleeved and generally made of cotton or a cotton blend. When spread out flat it has the shape of a "T". A women's graphic t-shirt is one relating to visual art, especially involving drawing, printing or lettering. The graphic printed on the tee are often with a vivid pictures with explicit detail. If you want to be even more stylish, you should wear your Women's Graphic T-shirts.